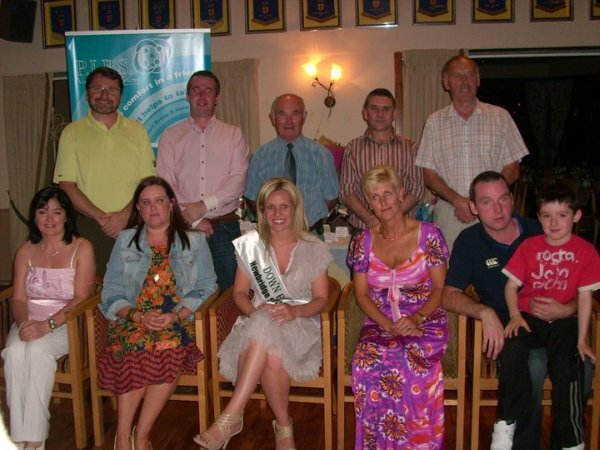 Thank you to everyone involved in the 1st Annual PIPS Newry & Mourne Golf Classic! We couldn't have asked for a better day!! 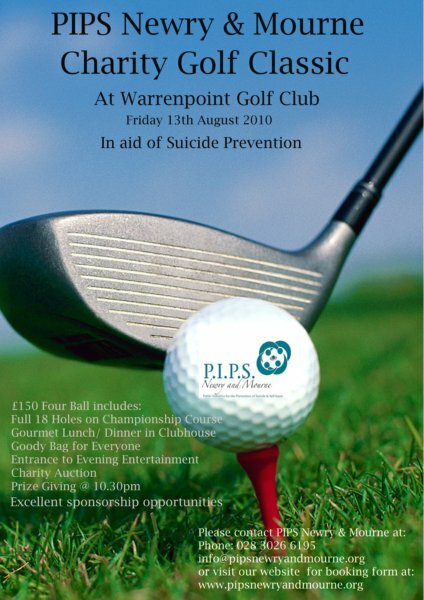 112 golfers played in the 1st annual PIPS Newry & Mourne Golf Classic, which took place on August 13th 2010 at Warrenpoint Golf Course in Warrenpoint. The tournament, played in 4 ball format, began at 8 a.m. Golfers were treated to lunch, putting contests, burgers & ice cream. Other features included hole-in-one prizes, prizes for GUI winners and Non GUI winners, and runners up in GUI and Non GUI, silent auction for an all star signed Down GAA jersey, raffle for a car in partnership with FSI Small Charities, spot prizes, goody bags and many give-aways! And of course and not forgetting all the golfers who participated on the day which turned out to be probably one of the best days of the year, weather wise. Non GUI Runners up with a score of 97: Christopher McGivern, Kyle O Hare, Blaine Magee and Cathal Caldwell.